Digital Designs Computer Repair & Web Design Services | Grand Rapids MI: New iPad Released! 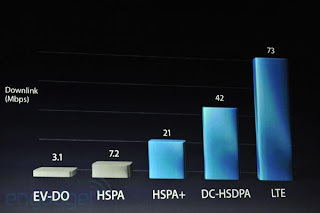 Not Called iPad3 or iPadHD? SAN FRANCISCO – March 7, 2012 – Apple releases a 3rd generation of the iPad with a high-definition retina display at the launch event at San Francisco’s Yerba Buena Center for the Arts. However, Philip Schiller (Apple’s Senior Vice President of worldwide marketing), Tim Cook (CEO), and all of the various Apple execs who took the stage never named the newest member of the Apple family; referring to the new device as “the new iPad” and not the iPad 3 or iPadHD as most of us were predicting. No joke - for reference, check out Apple’s official press release for new iPad. Display - The tablet boasts a 9.7-inch retina display of 3.1 million pixels, a resolution of 2047x1536 pixels, twice as much as the iPad2 (1024x768) and the highest resolution currently available over any other tablet or laptop. Processor – An A5X quad-core graphics processor upgraded from the iPad2’s A5 dual-core processor, allowing for higher CPU capabilities and mainly to support the need of processing twice as many pixels on the display screen. Network – In addition to standard Wireless, the new iPad supports 4G / LTE data connections with AT&T and Verizon. 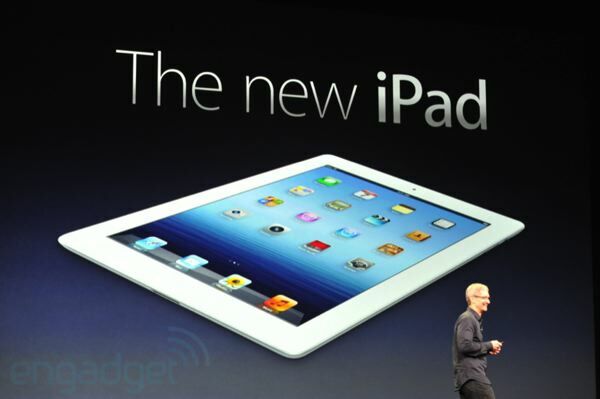 The new iPad design is virtually indistinguishable from the prior iPad2 released in last year 2011. The glass and aluminum constructed device still measures 9.5” tall and 7.31” wide but now has a thickness of 0.37” weighing 1.5lbs. The front-facing camera has remained unchanged and the rear camera has been upgraded to 5-megapixels but not a higher quality 8-megapixel that most smartphones and a few other tablets currently have such as the ASUS Eee Pad Transformer Prime. Looks like Siri (digital personal assistant) will be staying with the iPhone 4GS. She isn’t present on the new iPad; however, there is now voice dictation that could assist with transcribing emails, browsing the web, etc. Some of Apple’s old iPad complains still remain regarding no additional lead in extending battery life (Apple claimed ~10 hours / 9hrs on 4G). There isn’t a microSD memory expansion, a dedicated video output port, or a truly universal connection for charging/data transferring. Also, let’s not forget the absence of Adobe Flash support vs it’s support on ALL other products other than iOS but that's another topic. Many were hoping for an entry level tablet device that would compete directly with the $199 Kindel Fire or Barnes & Nobel’s Nook Tablet. Numerous other companies have been flooding the market with entry-level tablets that are smaller and cheaper than Apple’s iPads. Preorders at Apples online store began today in the US. Good luck today or the next couple days as the site seems to be down since everyone and their brother is on the site trying to get their hands on the new tablet. iPad Wi-Fi models will be available in black or white on Friday, March 16 for $499 (16GB), $599 (32GB), and $699 (64GB) models. 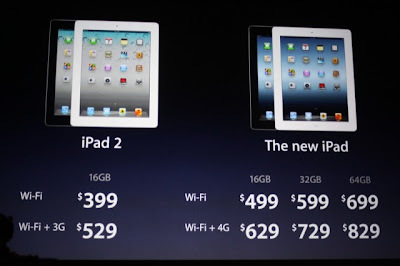 iPad Wi-Fi + 4G will sell for $629 (16GB), $729 (32GB), $829 (64GB), and will be available on AT&T and Verizon networks. On March 16th the device will be available in Australia, Canada, France, Germany, Hong Kong, Japan, Puerto Rico, Sinapore, Switzerland, UK and the US Virgin Islands. 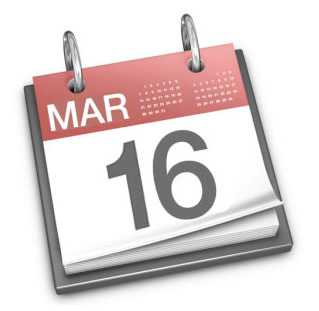 Many other countries will have the availability on March 23, 2012. The iPad 2 price has dropped to $399 (16GB Wi-Fi), and $529 (16GB Wi-Fi + 3G). Final Thoughts - Upgrade or Skip? If you have an original iPad then upgrading to the new iPad would be a good investment. 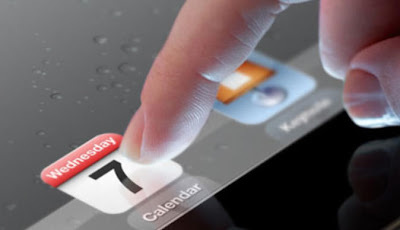 However, for iPad 2 owners the scene is more unclear. When looking at the core of the new features it comes down to “is the high-definition screen worth it?”. If you can justify another $499 this year for a base-model of the new iPad to really appreciate and show off the retina display then by all means go for it. However, it might be a better bang for your buck value / feature-wise to just wait another year for the next release when there are more device capabilities to make the purchase worth-while. 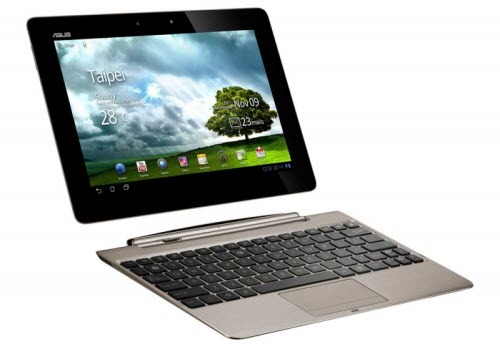 Alternatively, tablet seekers could look towards the $199 Kindel Fire or Nook Tablet. Last week, Microsoft deployed its Windows 8 operating system for tablets, many suggesting Windows-based tablets could make a serious presence in the tablet market. In addition to Windows, Android has been maturing in the tablet market. Many Android-based tablets offer features that have been successes over the shortcoming of various Apple iPad features. Our favorite Android tablet to date would have to be the ASUS Transformer / Eee Pads ~$499, same as Apple's starting price point. What do you think about Apple's New iPad? You will order to upgrade, wait until next year's 4th generation release, or go Android or Windows 8 tablet? I have followed AAPL, Apple Inc, for a very long time. I have studied the history, the products, and management. My personal rule of thumb was always wait till third generation to buy any Apple Device to get the most for your money. From Generation Three on, there will A LOT more software changes and only tweaking hardware as the time goes on. Thank you for your Review! I enjoyed reading it.